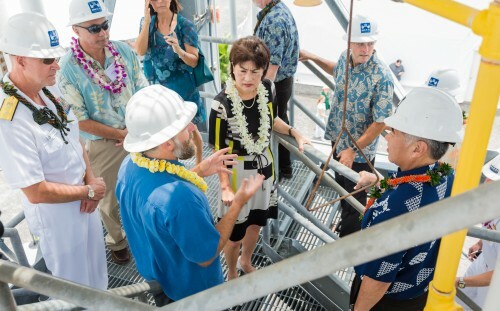 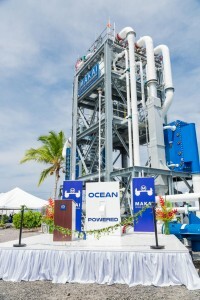 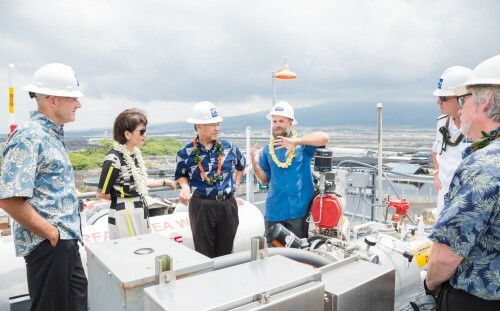 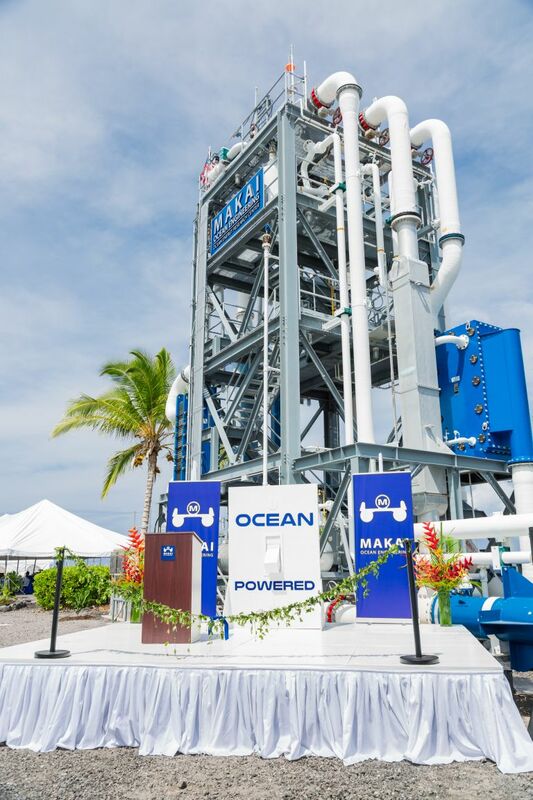 The chief engineer of Hawaii’s OTEC plant (Mike Eldred) and the chief engineer of the Okinawan OTEC plant (Shin Okamura) discuss plans to jointly build a 1MW with a group of Japan and U.S. organizations. 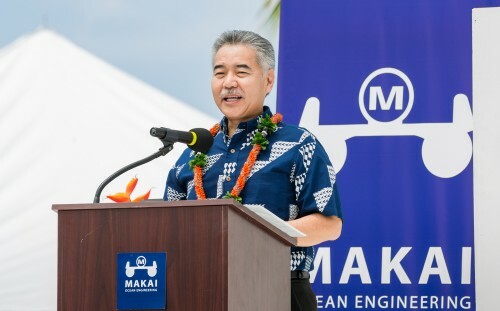 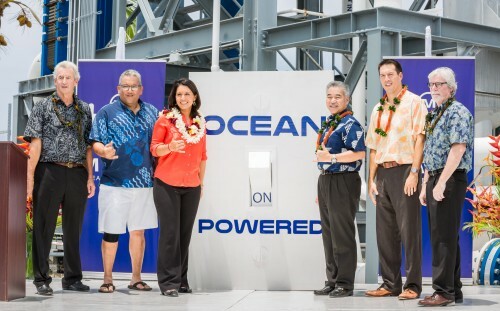 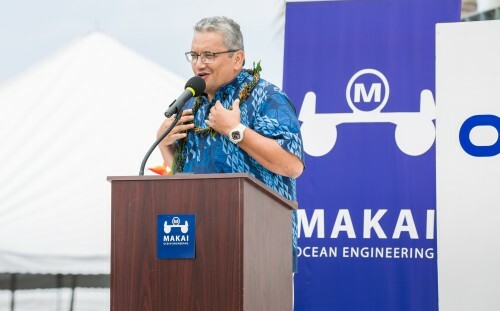 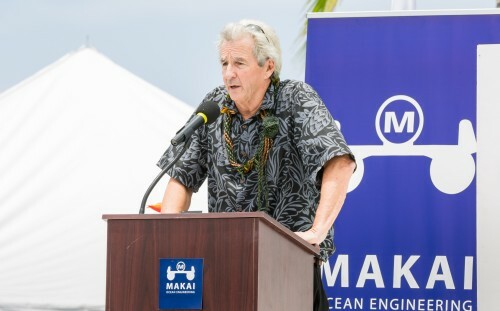 “One big difference with OTEC is that it is a firm power source; it allows us to generate electricity consistently… and in the evening hours when other renewable sources are not available, which really is the key to a 100% renewable future,” said Governor David Ige in his keynote address. 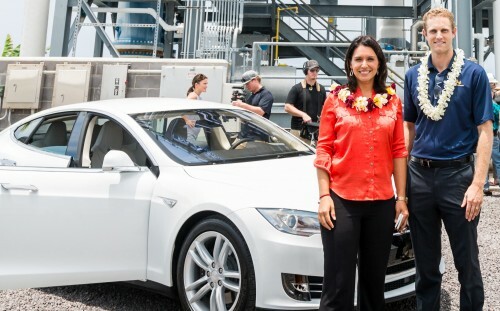 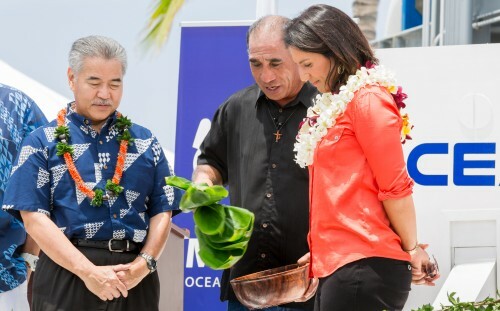 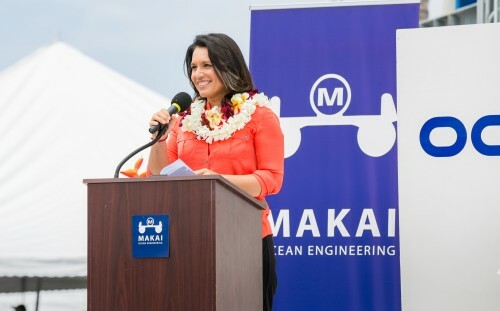 “I am really excited to see our friends from Japan and Okinawa here today, and excited about the opportunity to take this project to the next level in a way that will be mutually beneficial,” said Congresswoman Tulsi Gabbard. 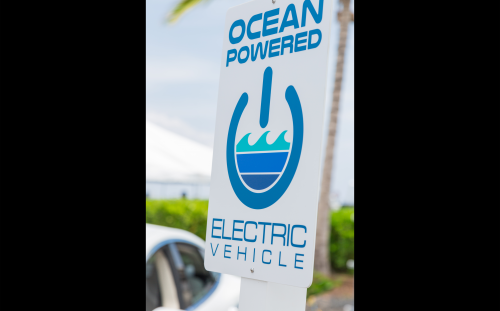 In addition to electricity for homes, OTEC can power the next generation of sustainable transportation. 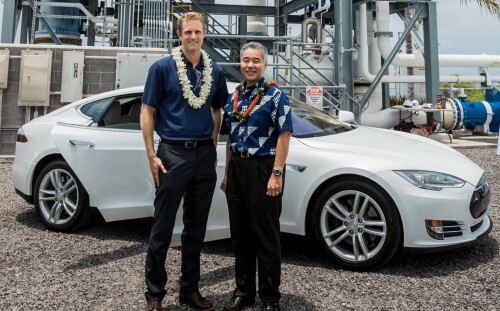 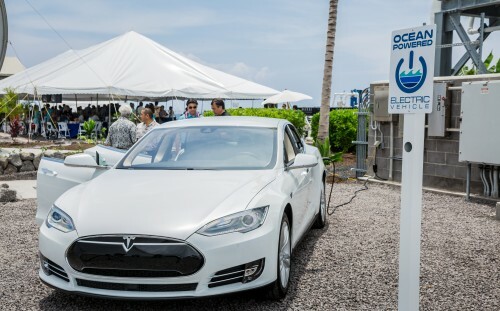 Here we make a start by charging a Tesla Model S using ocean thermal power. 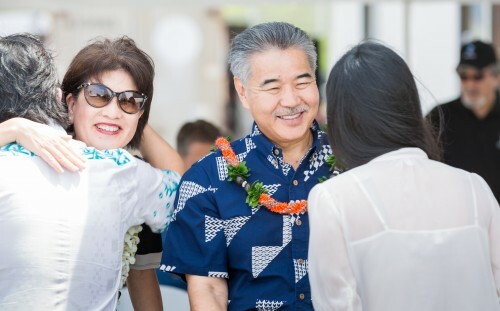 Governor Ige flips the switch! 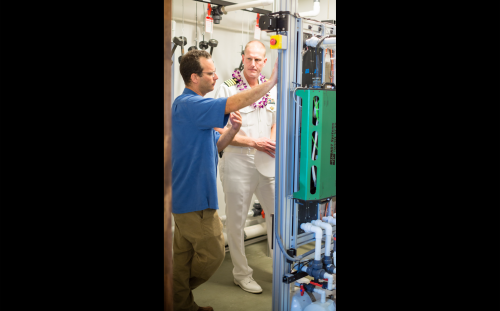 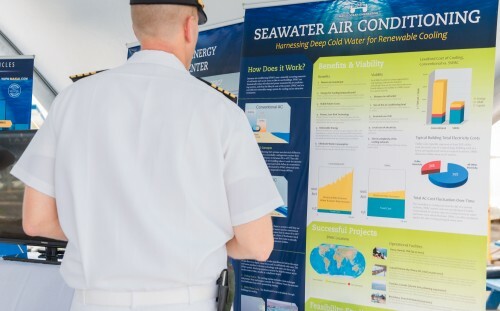 Makai’s Dr. Eli Michael discusses his research and testing at the Marine Corrosion Laboratory with Captain Dean Tufts. 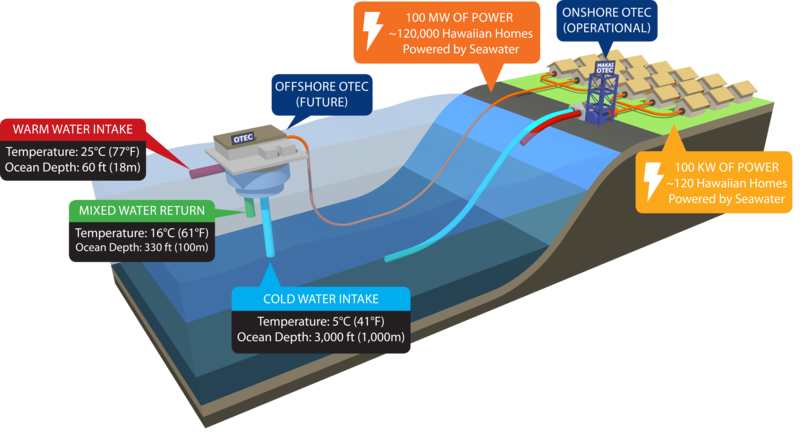 “If we’re going to get 100% renewable in 2045, we’re going to have to have baseload, dispatchable power, and OTEC is one of the strong contenders.” said Dr. Rick Rocheleau of HNEI. 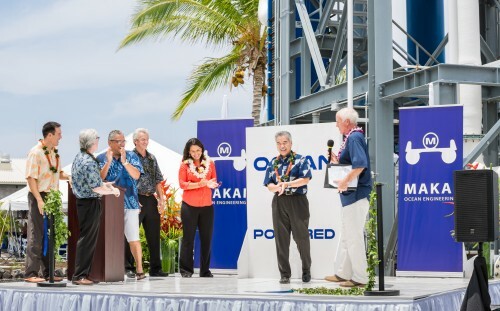 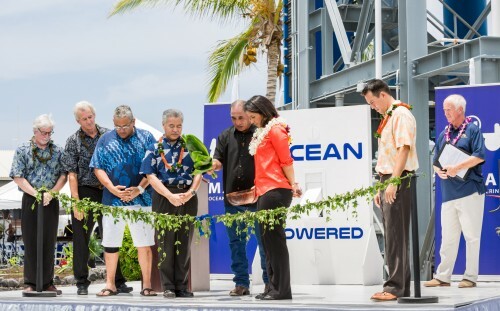 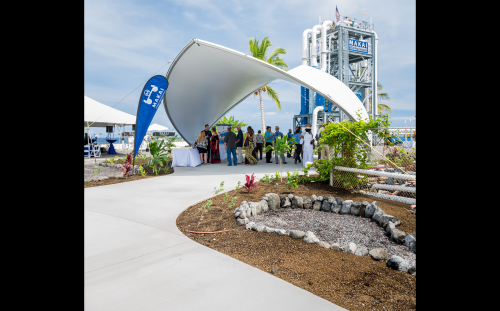 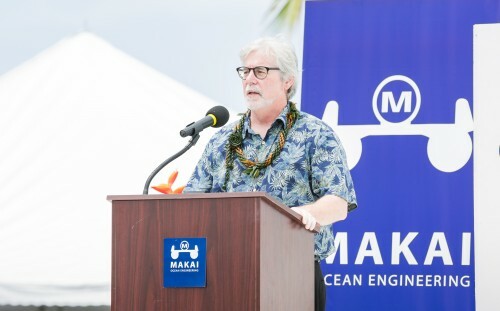 Guests gather at Makai’s newly renovated Ocean Energy Research Center at NELHA. 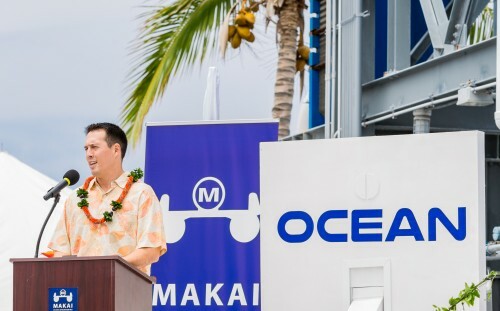 Makai’s Director, Adam Wong, gave the opening speech. 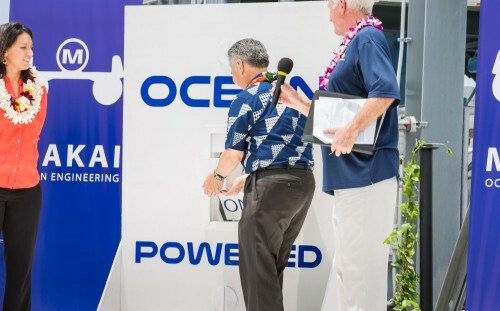 To our knowledge, this is the first electric vehicle directly powered by OTEC! 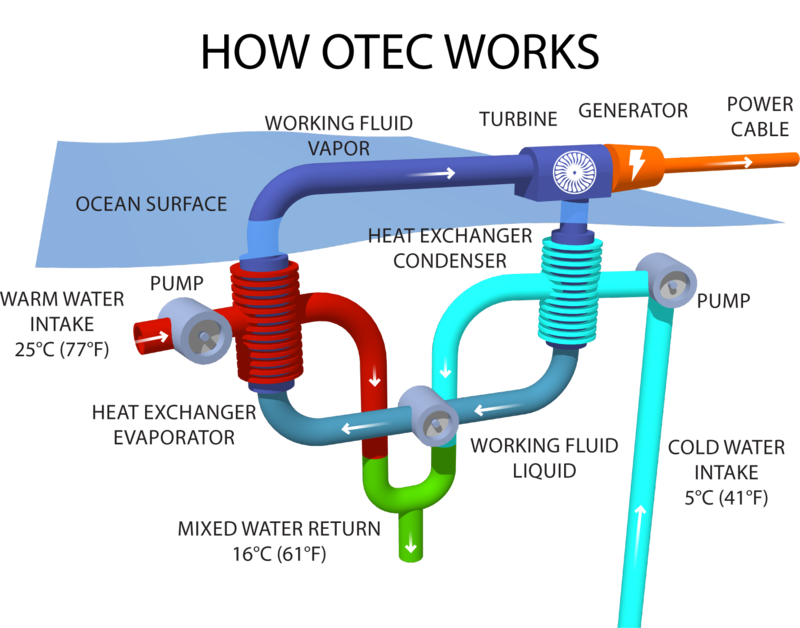 Click the thumbnails below to view full-size graphics. 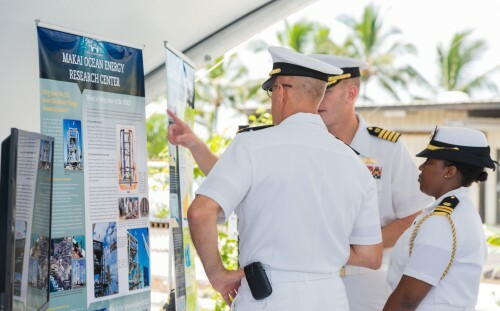 Click the image above to view full gallery. 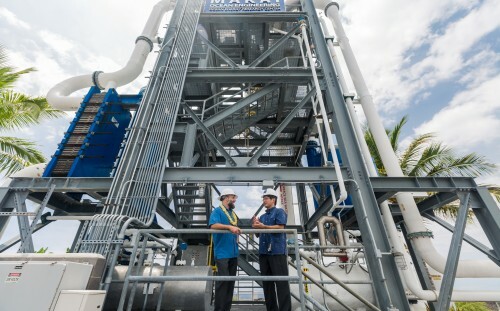 methods to all of our engineering projects. 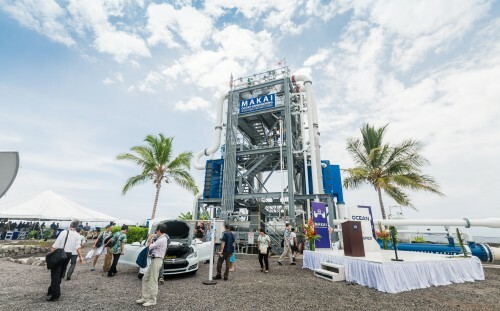 Please visit makai.com for more information.